Bhavya Gaind was born in Guwahati, Assam following which she had a diverse upbringing in different parts of India; which equipped her with the myriad culture & heritage of the country. While being brought-up in varied milieu, she developed a penchant in writing which further helped her pave the way towards journalism & mass communication. A lifestyle journalist by profession, Bhavya pursued her graduation with a specialisation in Economics. To further hone her expertise of the nuances of the mass communication industry, Bhavya is pursuing a Post Graduate Diploma in Advertising & Public Relations from Indian Institute of Mass Communication, New Delhi. She has keen interest in Human Rights and Sociology. 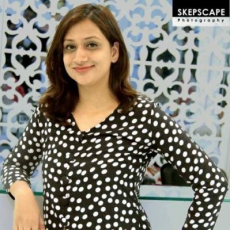 With a vast experience in all spheres of media, be it print, radio or digital, Monita Sharma is a media professional based in Chandigarh. 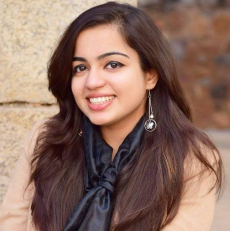 Apart from running her own lifestyle and entertainment portal – www.iampunjaabi.com, Monita is also associated with India Today Group writing primarily for their business features in Coffee Table Books and also featuring in their Digital Video Content. For one year, she has also provided her services as the Editorial Head of Glimpse Magazine – a fashion & lifestyle magazine based in Punjab. She began her career as a Radio jockey, and was one of the first radio jockeys that Chandigarh ever heard on a ‘24x7’ live FM station. Rajnish is a photographer par excellence. Coming from a family of world-renowned photographers Mr S. Paul and Mr Raghu Rai, photography runs in Rajnish’s blood. He was fortunate enough to learn the finer nuances of photography from Mr S. Paul, whom he regards as his mentor. He has learnt the art from the masters and he is adept at both film and digital photography. He has worked in the field of photography for over 21 years and his last assignment was at Hindustan Times, Chandigarh, as Regional Photo Editor. Rajnish started his creative journey in 1992 with the Indian Express as a Staff Photographer and moved to the Hindustan Times in 2000. 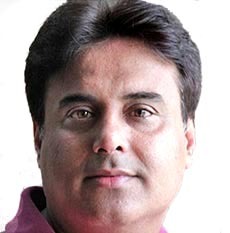 While working for these national dailies, he has covered some of the most defining events of the past two decades in north India, the separatist movement in Jammu & Kashmir, floods in Punjab, Assembly elections in Haryana, Himachal Pradesh and Punjab, all international cricket and hockey tournaments held in the region, the IPL, Commonwealth Games, concerts and fashion shows. Some of these have also won him recognition and prestigious awards. 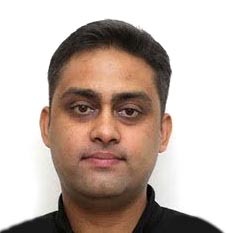 An obscure thinker & visualiser, Rajnish instills creativity and out-of-the-box approach to the way iCatchers functions.